too often reduced to criticism, especially in the national media. Recent attention in the national media has once again placed anthropology in an unflattering light. Two new book releases are behind the latest uproar: Noble Savages, by controversial anthropologist Napoleon Chagnon, and The World Until Yesterday, by controversial writer Jared Diamond. Each book received attention in the New York Times and other outlets, while also causing a fair amount of commentary from anthropologists (check out Anthropology Report and Savage Minds for examples and round-ups). At the same time, Chagnon was elected to the National Academy of Sciences, one of the highest honors in the U.S. for scientists, which in part, led to the resignation from the Academy by anthropologist Marshall Sahlins in protest. This type of attention does not instill trust or respect for anthropology within the media-reading public. The discipline is easily rendered as petty and unorganized, and more seriously, opens the door for unfounded and inaccurate portrayals by journalists and other public commentaries. Unfortunately, I think this problem is one that won't be easily dismissed, as it is rooted in one of anthropology's core activities and contributions: critique. 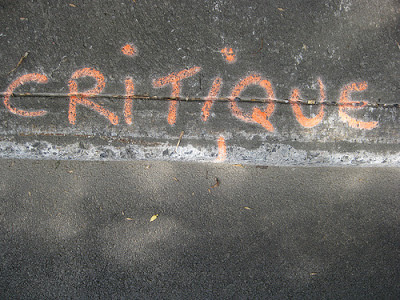 Critique of any issue or subject is carried out through detailed analysis and assessment, and the methods employed by anthropologists are uniquely suited for the critique of human society, institutions, and social problems. Long term ethnographic fieldwork, participant observation, in-depth interviews, and historical research are but a few of the methods that allow anthropologists to understand their subject of study in ways that no other science or profession is able. These methods provide insight into problems that otherwise go unseen, unknown, and misunderstood. With that insight, we are offered a base from which to move forward, to address issues, and promote positive change in the world. These are the strengths and true value of anthropology. Anthropology also has a history of self-critique. Anthropologists from generation to generation continually re-analyze, re-assess, and build upon past anthropological work. In an ever-changing world, this would seem to make sense, as insights and critiques gained 25 or 50 years ago may prove incomplete today. This self-critique sometimes causes rifts between anthropologists, and these rifts are too often picked up by the mainstream media. And too many times, the rifts are what gets the attention, and not the critiques themselves. This is precisely what happened in the case of the Chagnon media attention. Depicted by the press as a controversial figure, the Chagnon story is one ripe for public attention. And now, what was once a disciplinary rift, is playing out in public (and this isn't the first time), and this is where the problems start. The rift in anthropology itself is based on critique - careful and detailed analysis and assessment of the situation. When the controversy goes public, the detail of critique is easily lost, and recast as criticism, simply disapproval or dislike based on some perceived fault or mistake. Removed from the public framing is the analysis and assessment, leaving in their place, criticisms as bullet-points. When critique is reduced to criticism, anthropology loses its authority. Now the public, themselves experts on the human experience (their own at least), feel as though their own insights are as valid as an anthropologist's. Anyone can criticize, and most do, and in the eyes and minds of the public then, what makes anthropology so special? Anthropology is reduced to just another voice in the sea of public discontent. This is a problem not easily solved, as the media reports on human stories, and so are also experts in some ways - experts at reporting. Too often they forget what sets anthropologists apart, and what makes them experts on the human experience. It's our critiques.